Fire up the coals for a couple of recipes from The Complete Book of Outdoor Cookery. Need an easy and delicious appetizer for your next party? 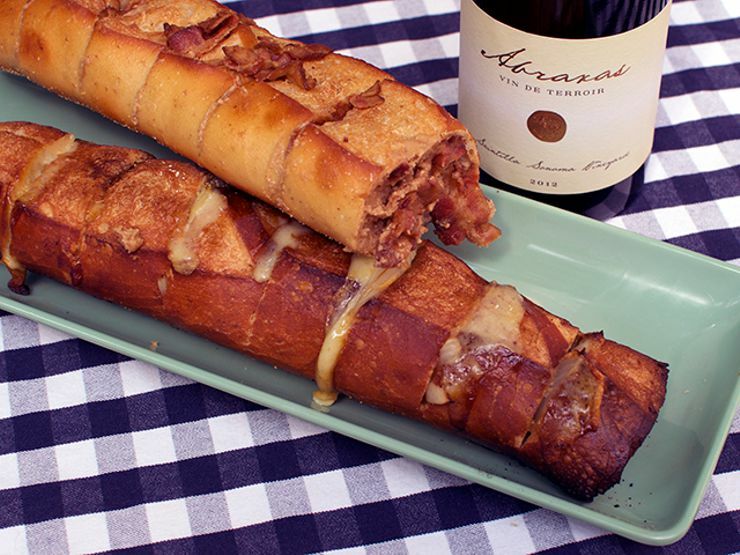 Look no further than James Beard’s stuffed bread. It sounds “kneady,” but this crowd-pleasing start to a summer barbecue couldn’t be easier to make. And to prove it, we tried out two recipes from Beard’s Complete Book of Outdoor Cookery (available on Amazon, iTunes, and Barnes & Noble): onion and cheese bread, and bacon and peanut butter appetizer. Full disclosure: The original recipe for the bacon and peanut butter appetizer is breadless, calling for rolls of bacon spread with peanut butter, fastened, and grilled. We thought this might get a bit messy, so we took this one step further and used it as a bread filling instead. 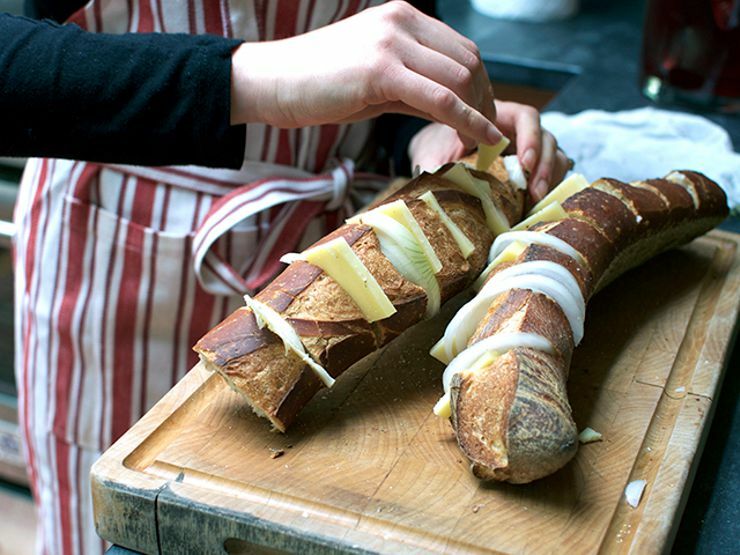 Slice a loaf of French bread into thick slices but don’t cut all the way through to the bottom, leaving the loaf intact. Insert a cheese slice and some onions into each cut in the loaf. Wrap the loaf in foil and grill. Check back after 10 minutes and continue to heat as needed. Spread peanut butter on the insides of the cut parts of the loaf, then insert a slice of bacon in each cut. Wrap and grill as above. Pro tip: Make it an Elvis! Tuck in some sliced bananas, too. We devoured these appetizer while sipping Abraxas from Sonoma.